Raf Simmons continues to explore architectural metal accents and mirrored lenses with his Fall/Winter collection for Dior. Sure to be another huge hit. 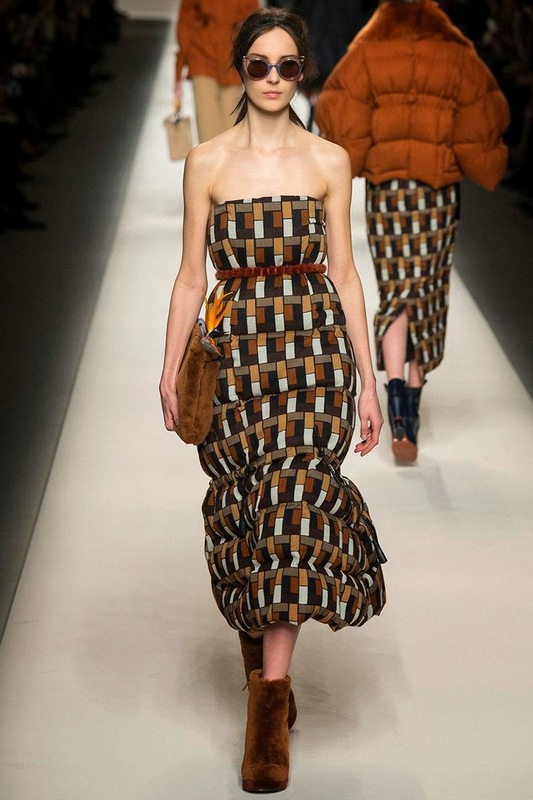 More exaggerated cat-eyes are still coming from Fendi who has been pushing this silhouette forward for the past few seasons. 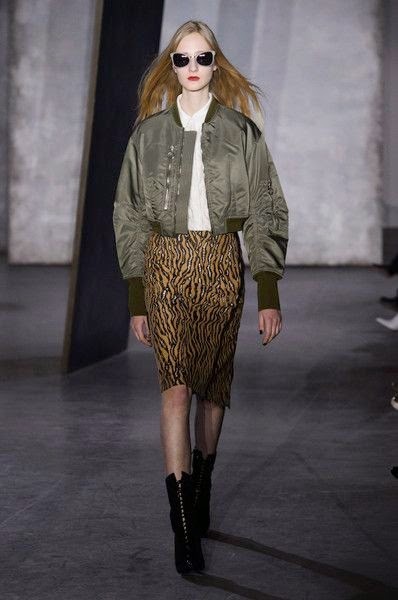 This season they lose the bedazzled accents and stick with matte plastics and well placed cut-outs that emphasize the cat-eye shape. 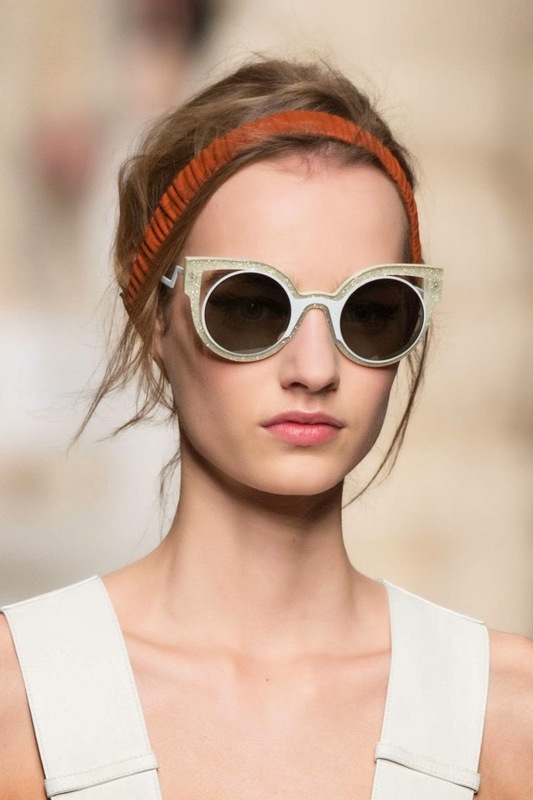 A personal fashion-week favorite were the watercolored pastel cat-eye frames from Max Mara. 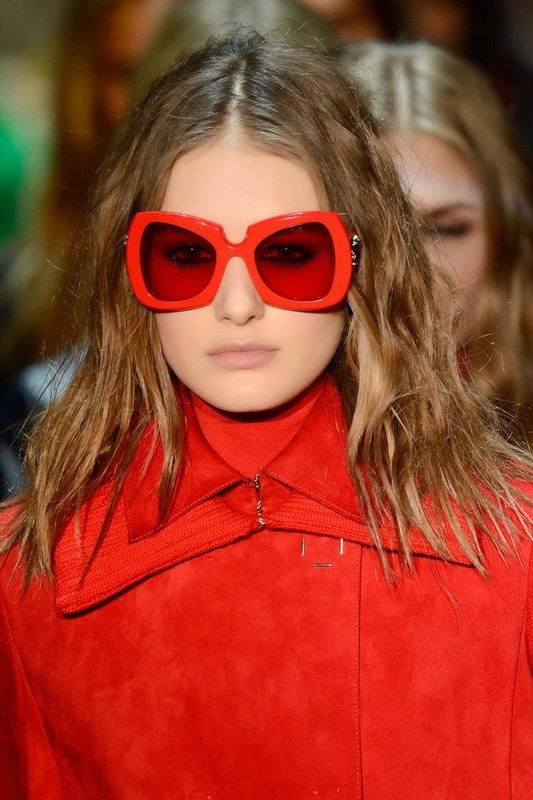 The more subdued color palette in eyewear is again trending big this season compared to past years where loud and colorful glasses were the rage. Feminine ruffles at Rochas were paired with matte taupe and brown angular sunglasses to help create their statement hard/soft contrast. And Philip Lim 3.0 used oversized lenses in minimalist neutral frames for an almost alien-esque take on sunwear. 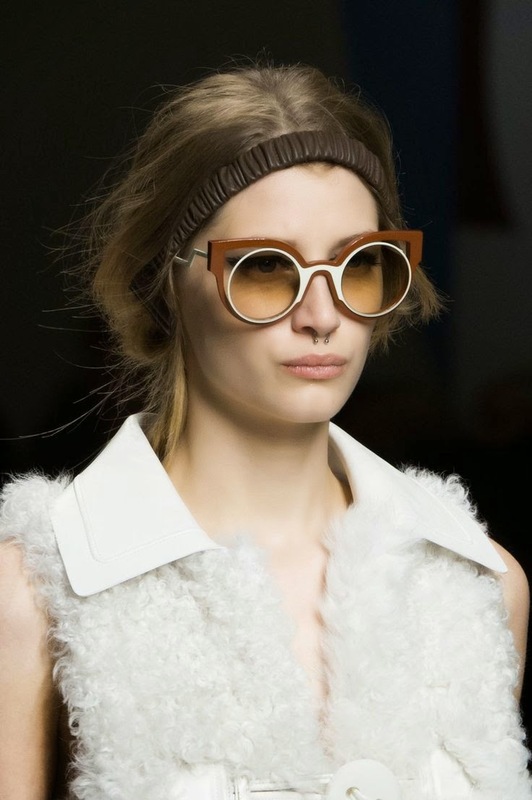 The 70s throwback look is still trending strong, with round oversized frames popping up in many designer's collections. 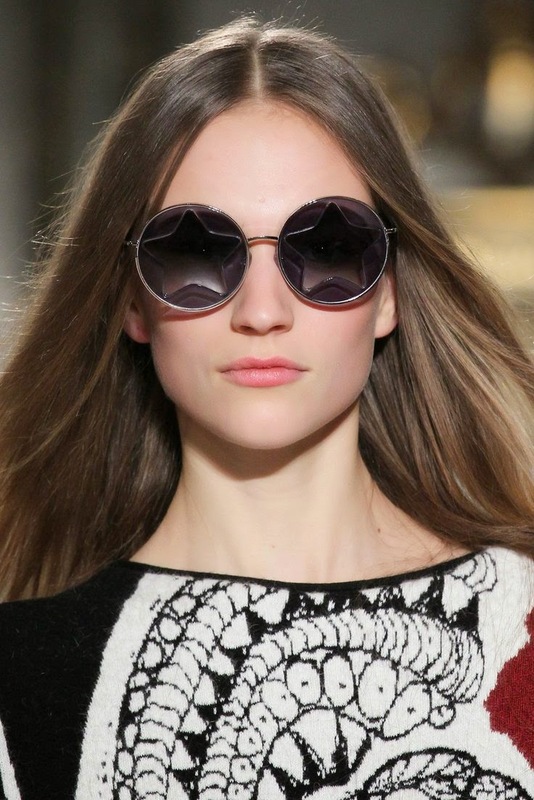 Emilio Pucci showed round sunglasses with star shaped overlays on the lenses. 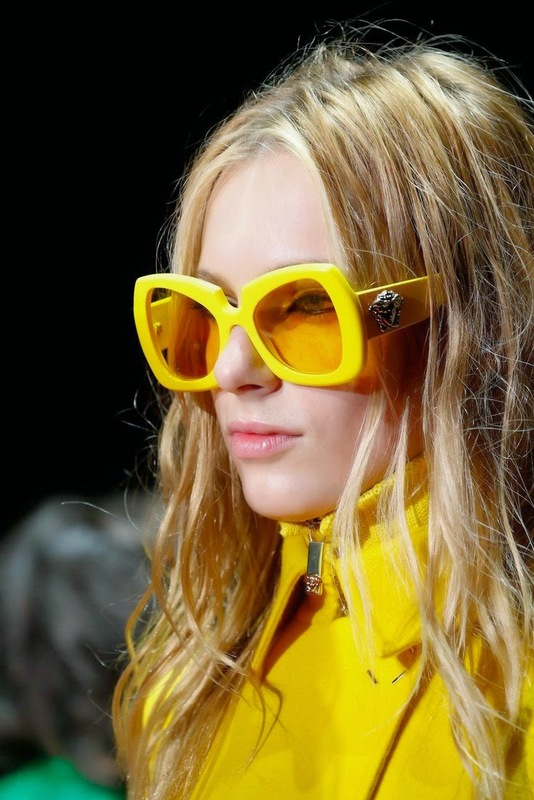 And Versace went butterfly-shaped with mustard and ketchup hued brights. The monochromatic effect was in full force with tinted lenses matching the color of the frame, and the model's coat and knee-high boots. My wife would love to be able to have a great looking pair of glasses like these. There is something about the fashion world that interests me. 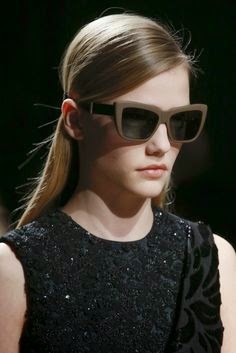 I would love to be able to know how people are able to come up with the ideas of how these glasses look. Hopefully it will end up being a big help in ensuring that someone is getting the best deal possible for their glasses. Thank you for sharing.